On February 14th, 15th, and 16th at 7:00 pm, the H.B. Plant High School auditorium will be transformed into the famed Rick's Cafe - the Moroccan lounge made famous in the movie classic Casablanca. Join the award winning Plant High School Chorus, directed by acclaimed Chorale Director Bruce Yost, as they treat guests to a special celebration of a cabaret style, musical review. All individual acts are selected via advanced auditions and are developed, harmonized, and choreographed by and all-star cast of Plant Chorus students. 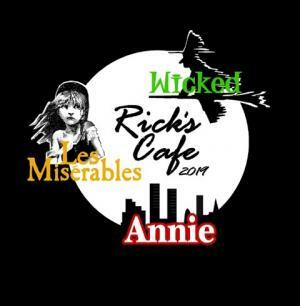 All tickets include addmission to Rick's Cafe and FREE intermission desserts & treats! Would you like to guarentee incredible seats to this performance? Simply select the "add on VIP seating" for each of your purchased tickets (or booster comp tickets) and we will make sure to reserve some of the best seats in the house for you. Will Call & Ticket Sales open at 6:00 pm and the show begins at 7:00 pm!